It's no secret that the Heisei era is really about to come to an end around next year. So I decided to do a ramble post on what I'd call the "different eras" of the Heisei era which would come to an end by April 30, 2019 and it began on January 8, 1989. 1989 was a bit of a transition for some series. Black RX was caught in between the Showa era and the Heisei era -- making Kamen Rider Black the last true pure Showa era Kamen Rider. Chojuu Sentai Liveman's final episodes were in the Showa era making Hikari Sentai Maskman the last true pure Showa era Super Sentai. 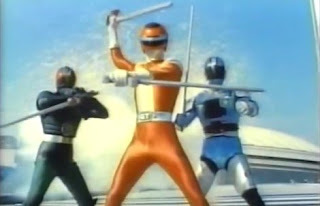 Then if we had any "pure Heisei starters" -- they would be Kosoku Sentai Turboranger and Mobile Cop Jiban which were aired after the death of Emperor Hirohito and the ascent of Emperor Akihito who's about to abdicate the Chrysanthemum Throne. Well 2018 is coming to an end and 2019 is coming in -- this has me getting excited (and nervous) at the same time about the upcoming series Kishiryu Sentai Ryuusoulger. Now I decided to read through Ukiyaseed concerning both the staff and the plot to get more information. The upcoming series will be produced by Toei producers Shinya Maruyama (Pretty Guardian Sailor Moon) and Kazuhiro Takahashi (Kamen Rider Ghost). The series will be written by Junpei Yamaoka (Majisuka Gakuen, Kamen Teacher), making this the first time he has written a tokusatsu series. The series will be directed by Kazuya Kamihoriuchi (Kamen Rider Heisei Generations FINAL), who is best known for his work in Kamen Rider Ex-Aid and Kamen Rider Build. This is his first time directing a Super Sentai Series. Lastly, the series will feature music composed by Kiyoshi Yoshikawa (CSI: Crime Scene Talks). Bonjour my readers and a Merry Christmas or should I say Joyeux Noël (and hence maybe that's why Lupin may have decided to name Noel as Noel as his human identity). Now it's time for what I'd call le mandatory Super Sentai Christmas special (which wasn't always done until Gosei Sentai Dairanger which started le yearly tradition) which IMHO can go from weird to good. So far, this is one funny scenario which sort of touches the Japanese tradition of having friend chicken as part of le celebration. 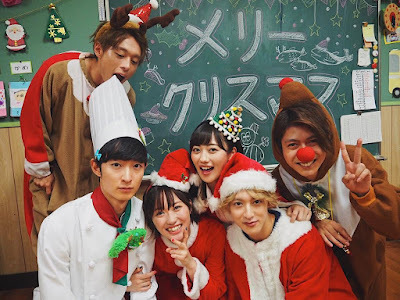 Le series opens up with a child inviting Sakuya over to a Christmas party where they want to eat chicken. I'm just surprised we're not getting any product placements of either McDonald's Japan or KFC Japan here. Meanwhile at le Global Police headquarters -- both Keiichiro and Tsukasa (love shipping them) are now finding the list of people who have either died or gone missing. This is all part of their plan to put an end to le Ganglers. Bonjour my readers! Well I'm just getting nervous at le thought of what could come next year especially when I was enjoying last year and this year so much. Now back on topic -- last week's episode involved a leakage of Noel's true nature as not being human. Now this is where something predictable (or not) is about to happen so read on! I just can't blame whatever denial Keiichiro passes through. This part further cements to why he's currently my favorite character in le show. He's headstrong, stubborn and wants to beat up reality yet he wants to find out if Noel was truly guilty. I just feel sorry for Keiichiro as he starts to really grow really upset one way or another! Noel revealsle Back World and how a race of humanoids once co-existed with several races. This has me wondering is Noel also older than he looks? This race would later escape to Earth and mingle with humans. So Kogure isn't from Earth too? This is getting pretty interesting. Maybe, maybe not you know this by now that my favorite Kyuranger is actually Tsurugi Ootori. I guess it has to do with the fact that actor Keisuke Minami is a J-Drama regular who has decided to take on a Toku role -- perhaps it's to understand the generation gap he shares with its regular cast considering he's an 80s baby and almost everyone he worked with are born in the 90s. Hmmm it's quite nearly the same scenario with actor Shiro Izumi who returned in 1992 to play as Burai in Zyuranger in his 30s. 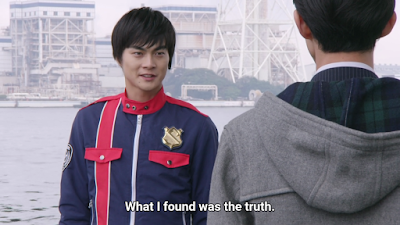 But I guess that's not entirely the reason why I feel like Tsurugi is my favorite Kyuranger -- aside from the obvious fact that my favorite Changeman is Hiryu Tsurugi! Bonjour readers! Well it's December and it's usually that time of year when some important plots start to happen in Super Sentai. For example, Kyuranger started showing a lot of important plots that eventually bridged themselves to the finale or gave something important. 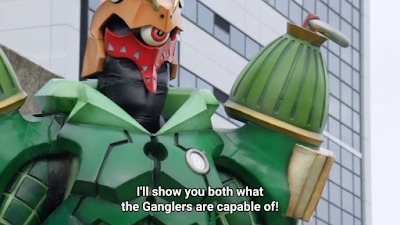 Last year showed Lucky's father being le "Darth Vader" of Kyuranger -- this year focuses on unfolding who Noel is. 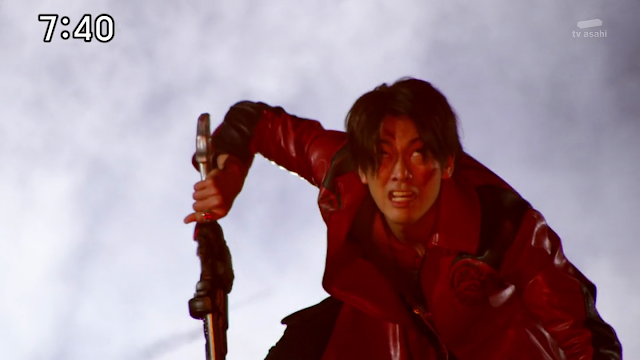 Things are getting exciting for Lupin vs. Pat's finale -- while I do still feel le need to be wary of what next year could bring with le upcoming Super Sentai! Noel starts off looking for data files in le dark. What is he up to? Considering that he's a double agent then maybe he's trying to get information that could help le Lupinrangers in le process. I guess it's about time someone found out something weird. Warning -- I've got some pre-conceived biases going on so read at your own risk! Well it's really something when I'm just like Kamen Rider Decade when it comes to my admiration for Toku isn't it? I'm just a passing by guy in every fanbase and Super Sentai is no exception. It just had me thinking how innovation can be done good or bad. Last year, we've got Kyuranger which I admit was probably one of the best overhauls done to Super Sentai. This year, Lupinranger vs. Patranger is a pretty good series. 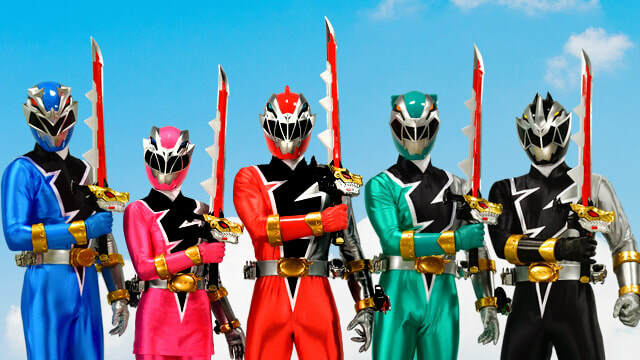 But DUNDUNDUN here's the latest leak with the upcoming series Kishiiryu Sentai Ryuusoulger which is translated as Knight Dragon Squadron Dragon Soul-Ger. So what's my first impressions as I got the news from JEFusion? It's no secret that Lupinranger vs. Patranger is nearly coming to an end considering that 2018 is almost over. Now, I'd like to write why I think Keiichiro Asaka/Patren-1 is my favorite character in said show! Read on and find out why he's my favorite character! Well le title says it all! Destra has arrived to finally do his final battle in hopes of continuing Don Dogranio's mafia. After last week's rather humiliating defeat -- he finally takes le big guns to le point he allows Gauche to help him. 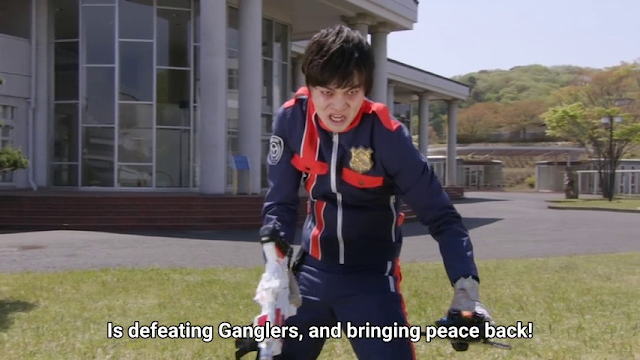 He uses two Lupin collection pieces which he hopes he can finally gun down both le Lupinrangers and le Patrangers all at once! What seems to be an ordinary day isn't. Destra shows up and starts firing missiles. Both Kairi and Noel are attacked by a now super-vengeful Destra. His power has been increased so much that it actually causes major damage! Le city is attacked and this really is a brutal sight to behold. None of the whole U.S. TV show standard of, "Le city suffered minimal damage and no one was hurt!" nonsense! One can tell how many people were killed in Destra's attack causing le Patrangers to be concerned about it!